All of the supply lists, box decorations, and item tags to make Care Packages for Halloween, 2 Different December Finals, Super Bowl, Valentine's Day, Easter, and Spring Finals. Over 50 of my most popular downloads all together in one place and it's TOTALLY FREE for members of the Almost Empty Nest Community. 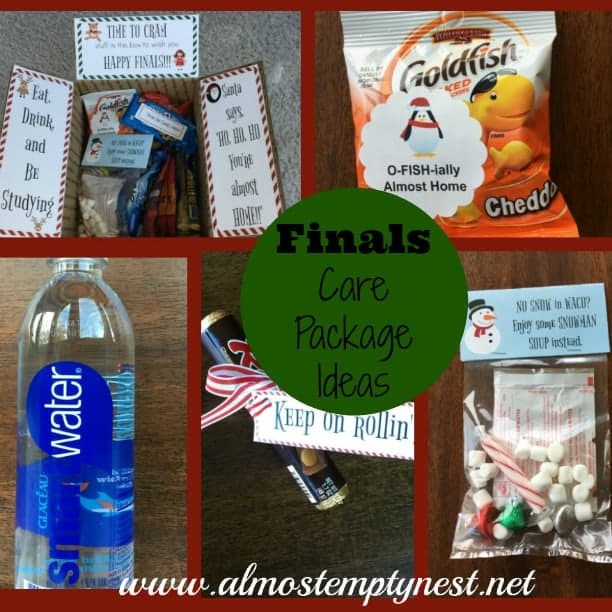 The Year of Care Package Printables is part of the Almost Empty Nest Printables Library. Gain access by becoming an Almost Empty Nest Member. If you prefer not to be a member, you may purchase the printables through the same link below. 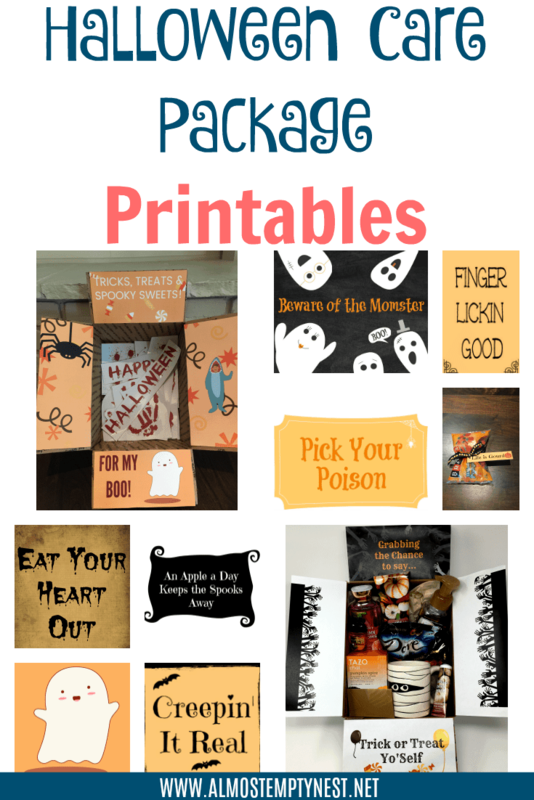 Dress up your Halloween Care Package with Halloween Care Package Printables! 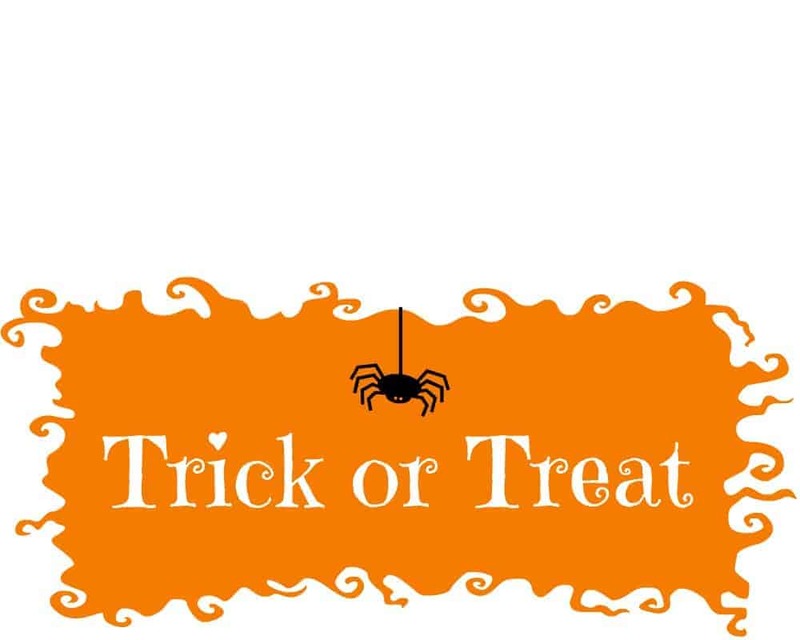 The College Student or other recipient of your Halloween Care Package will be thrilled to open a box decorated with printables and unique Halloween gift tags. Halloween is the perfect time for a care package from home to arrive. The honeymoon of the new college year has worn off and the reality of buckling down and studying has set in. All of these printables are available either in the Subscriber's Library, in the Year of Care Package Printables, or by following the link to the creators' sites. This post contains affiliate links, which means if you click on a link and make a purchase, I may receive a small commission. For more information, see the full disclosure in the foot bar. Thank you for support Almost Empty Nest. Halloween is such a fun time for a care package! There are so many puns and cute treats available for your package. 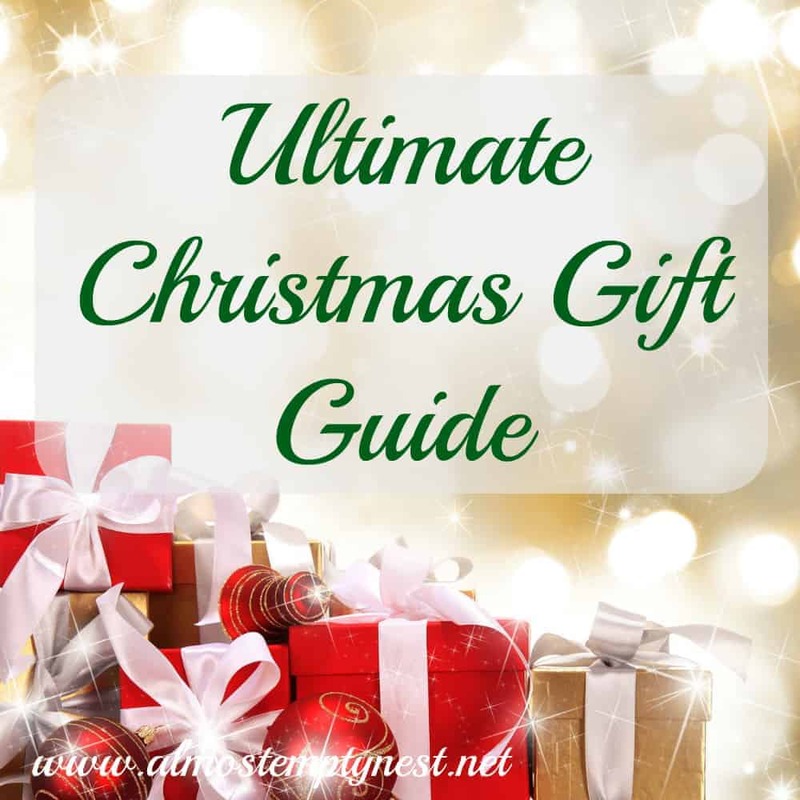 Each year I design a new package, but you may want to mix and match tags and decorations from some of the packages. These box decorations are available in the Year of Care Package Printables. You can get the entire download at the top of this post. 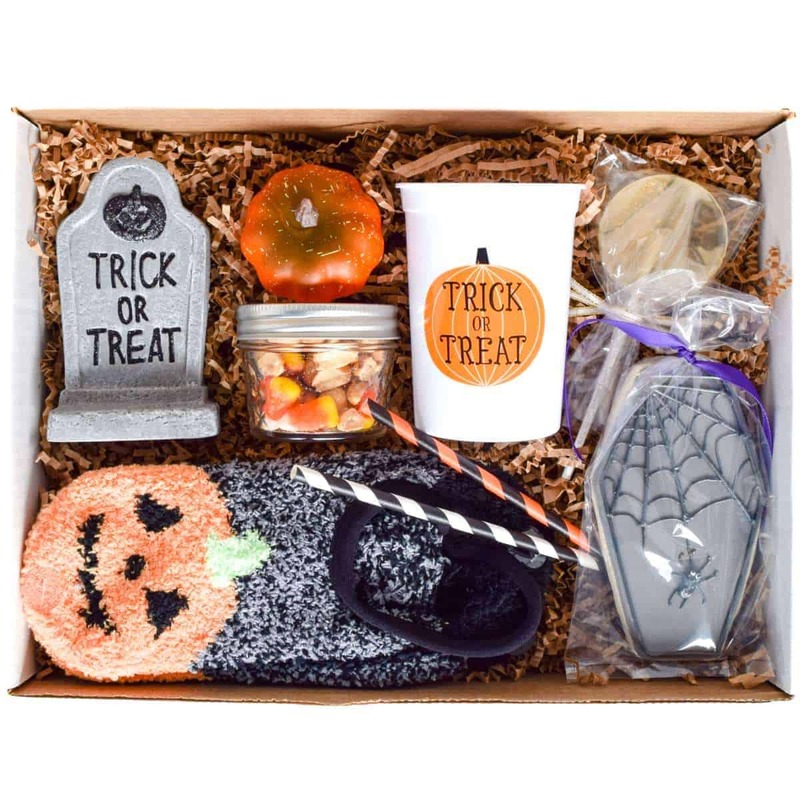 You can also read about this package at More Halloween Care Package Ideas. 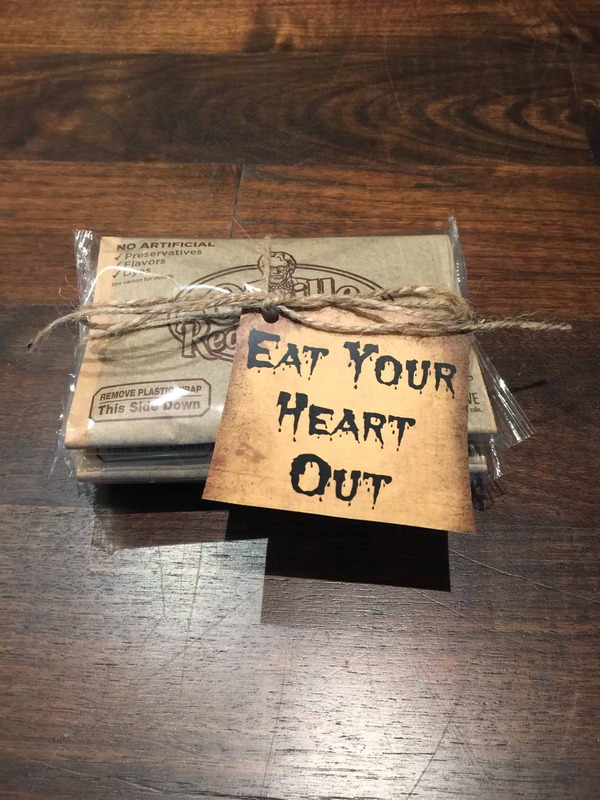 The Treat Yo Self Halloween Care Package box decorations are available in the Subscriber's Library. You can download them by subscribing below. 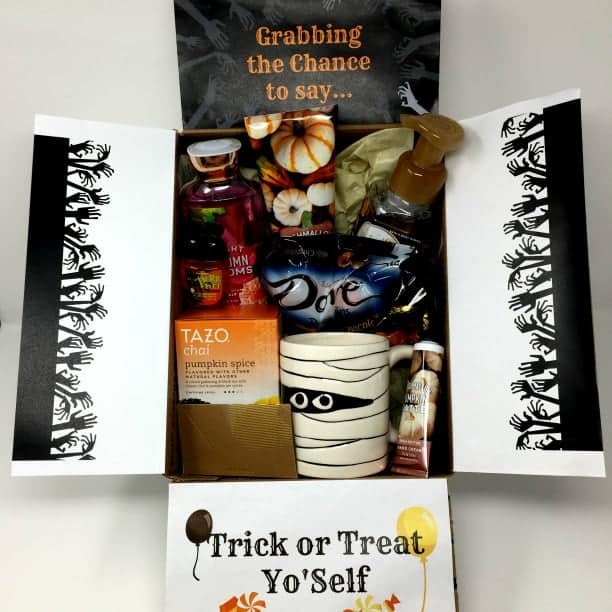 You can read about the package at Treat Yo Self Halloween Care Package. 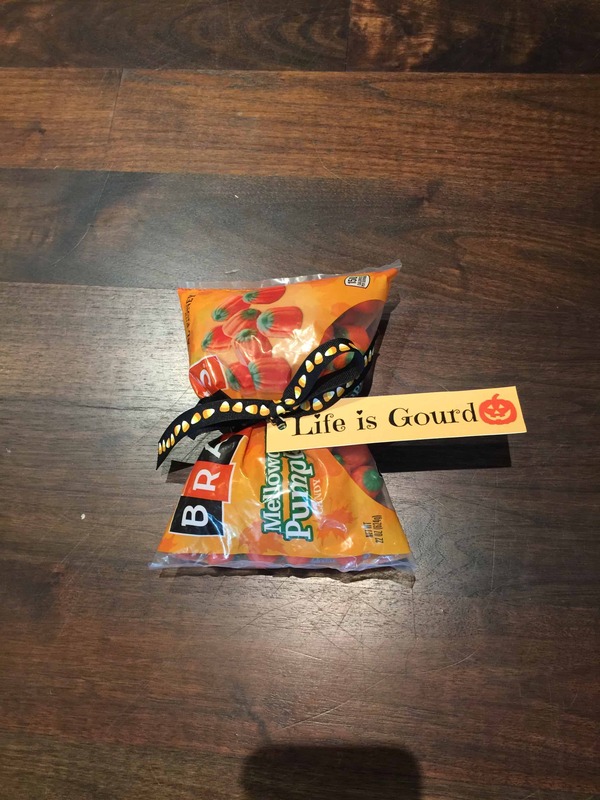 Get the Life is Gourd tag in the Year of Care Package printables download above. It a a great tag to attach with cute ribbon to candy pumpkins. The Finger Lickin' Good tag is also available in the Year of Care Package printables. It looks super cute tied to a medical glove that has been stuffed with candy. 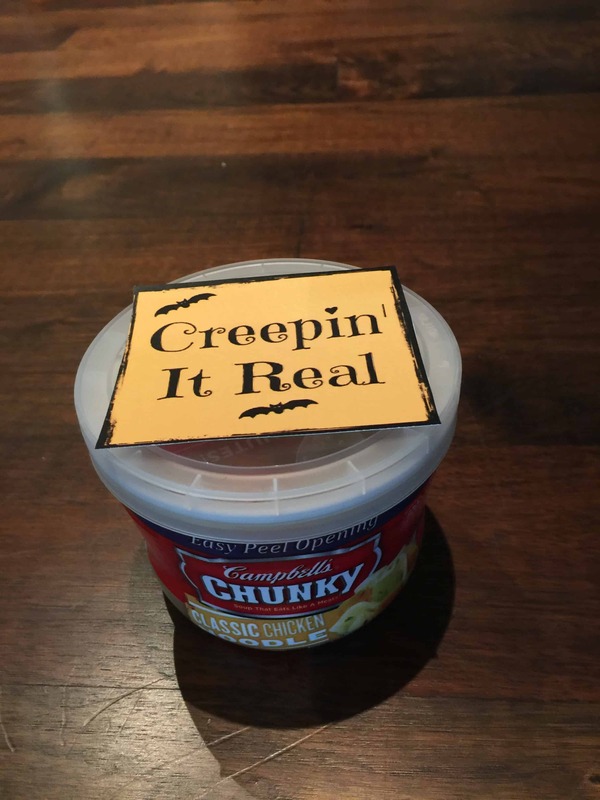 Attach the Keepin' it Real tag to some real food. This tag is part of the Year of Care Package Printables set. 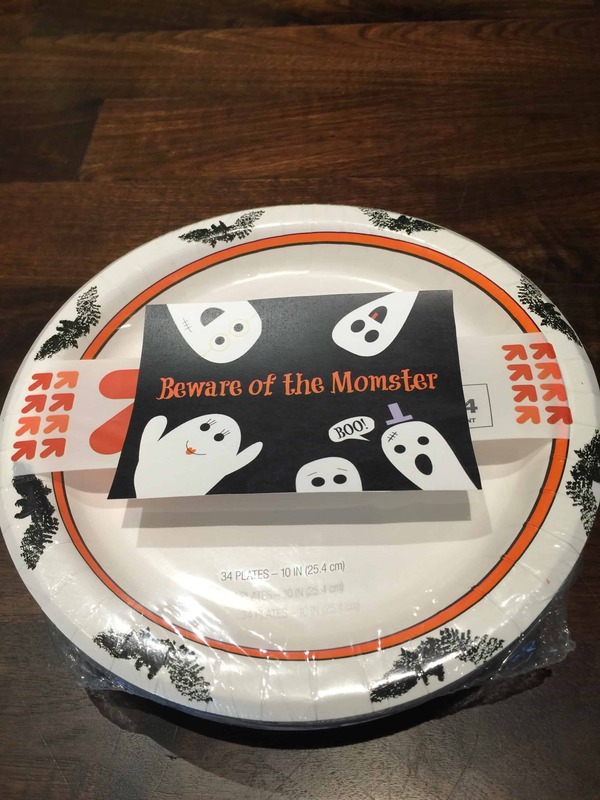 The Beware of the Momster tag is also part of the Year of Care Package printables. Attach it to anything you think they would like! 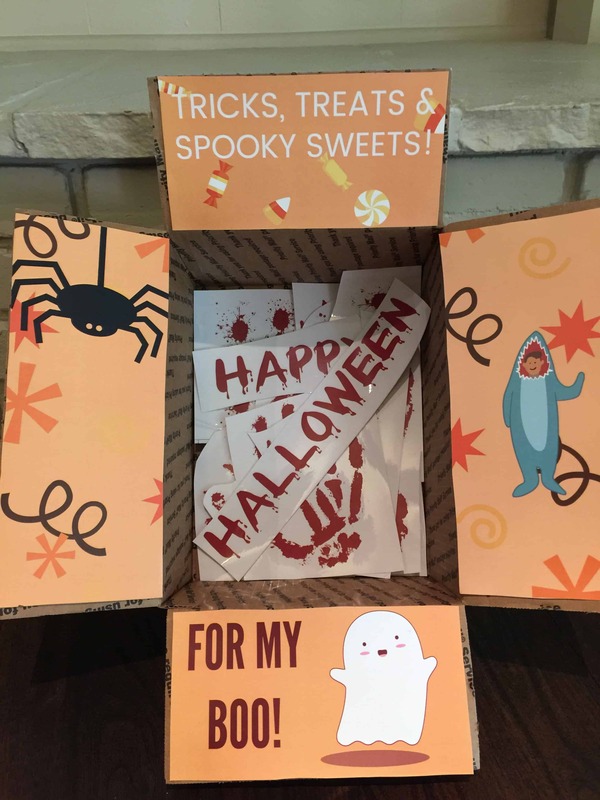 This cute Trick or Treat box decoration is in the Subscriber's Library. 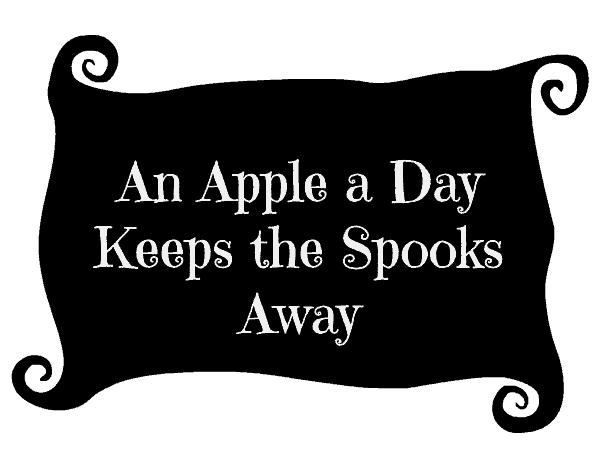 Send something healthy like apples and attach this Apple A Day tag, which is available in the Subscriber's Library. 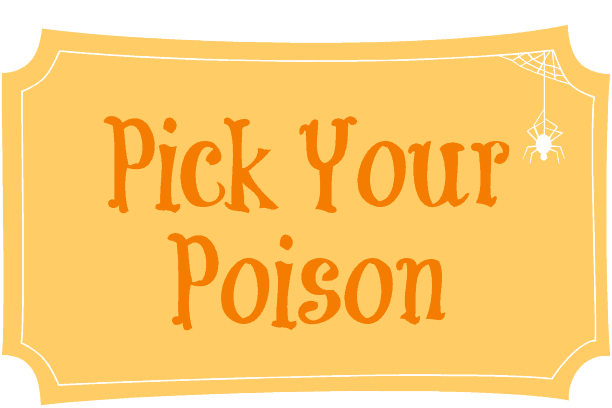 This Pick Your Poison tag would be adorable printed on sticker paper and attached to a jar of candy. It is available in the Subscriber's Library. Home Sweet College Home has some of the CUTEST care packages I have ever seen with completely unique items. My daughter LOVES her FAB FIT FUN boxes. She has requested a subscription the last two Christmases. The boxes include full-sized products instead of samples. 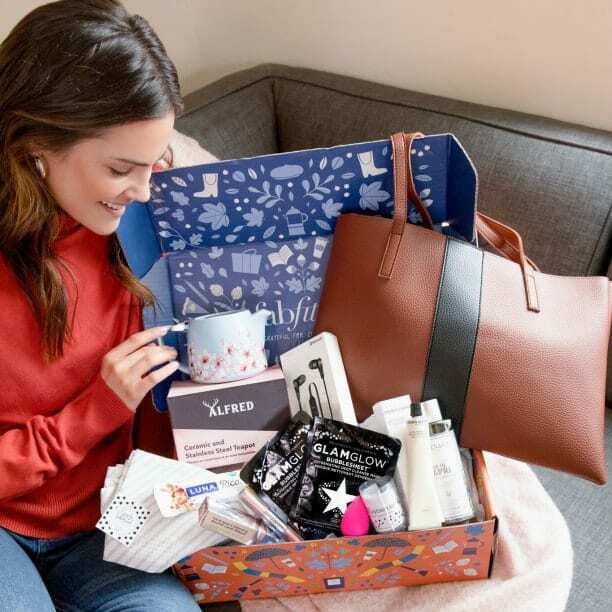 Her fall box just arrived and she is over the moon with it especially with the leather Vince Camuto tote which retails for over $100. Use the coupon code: PUMPKINSPICE for $10 off the Fall Box. Want a Healthy Care Package? 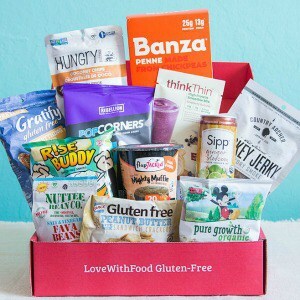 Snack Nation features healthy snack foods including Gluten Free Options. Their boxes start at $7.99, so a complete steal!! Subscribe to get the "News from the Nest" Newsletter with all of the latest news, posts, tips, and fun! YOU WILL ALSO GAIN ACCESS TO THE EXCLUSIVE SUBSCRIBER'S LIBRARY WITH ALL OF THE ALMOST EMPTY NEST PRINTABLES!